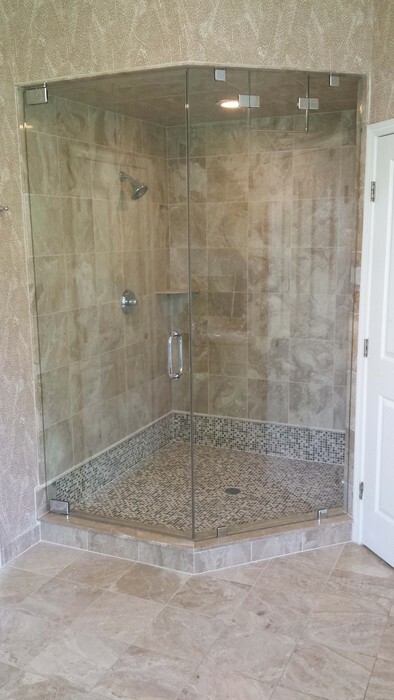 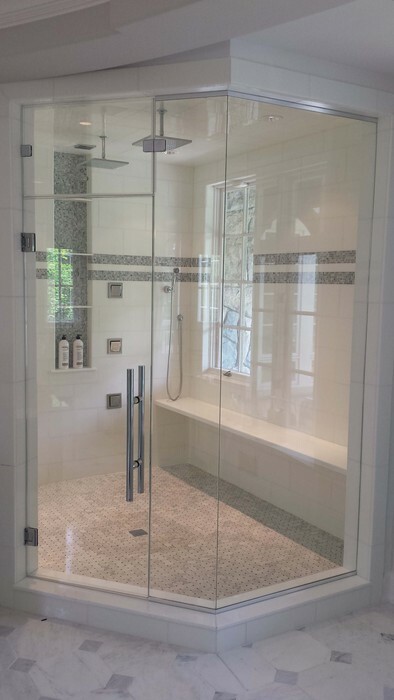 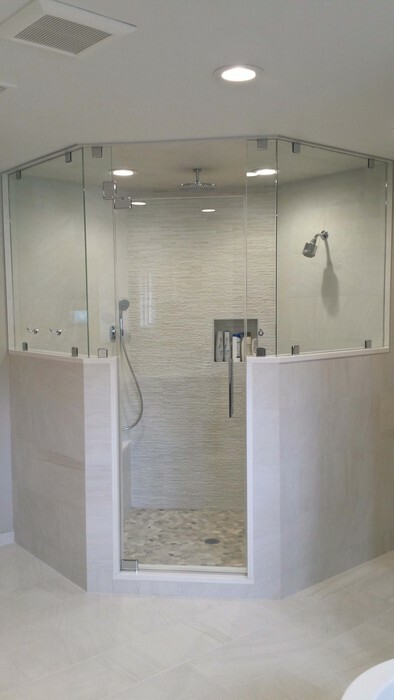 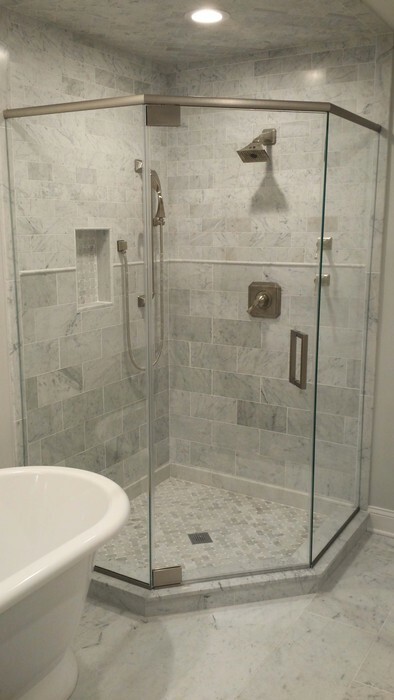 A Neo angle shower is a type of corner shower enclosure. 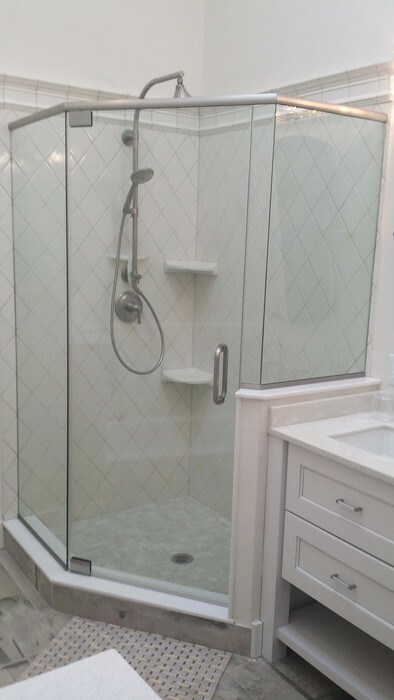 Most times a neo angle will have three glass panels (one being a door) connecting to the two shower walls at 135-degree angles. 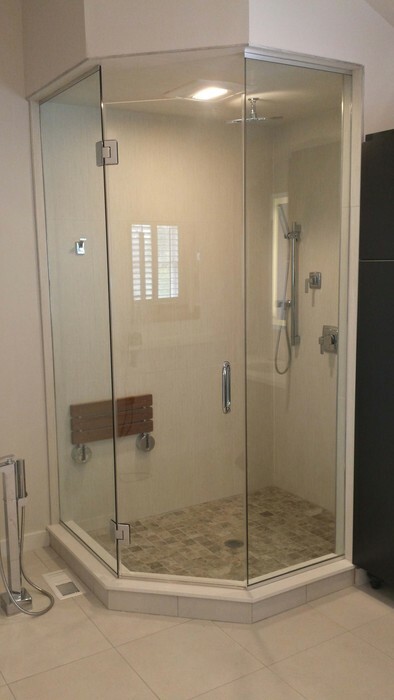 This can also have a wall mounted door and two panels meeting in the corners. 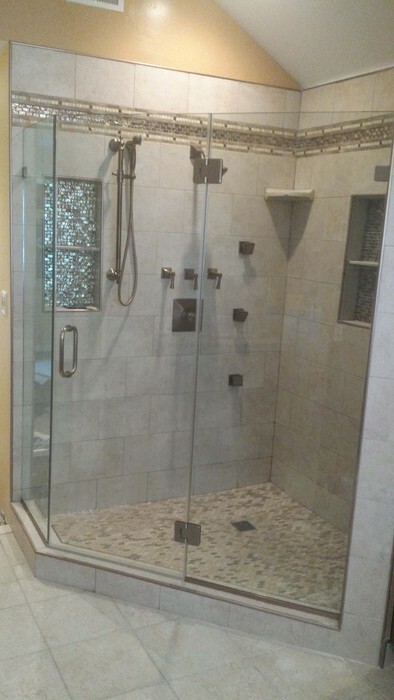 Most times a neo angle shower can have a maximum door of 26 inches unless a header or top support is used.